The University of Ulster and the University of Ulster Students' Union have issued a hard-hitting letter to students warning them of the consequences of anti-social behaviour over the St Patrick's Day period. The letter, ( copy below) is signed by the Vice Chancellor, Professor Richard Barnett and Overall Student President Claire Flanagan and reinforces the message contained in a specially produced video called 'Don't Gamble With Your Future' – which has been distributed to all students vial email and social media channels (link below). A University of Ulster spokesperson said: "The University of Ulster and its Students’ Union are working hard to ensure that our students are aware of the consequences of anti-social behaviour over the coming St Patrick’s Day period. We want them to enjoy the traditional celebration, but to do so in a responsible manner which brings credit to themselves, their University – and the communities in which they live. "The Vice-Chancellor, Professor Richard Barnett, and the President of the Students Union, Ms Claire Flanagan, have written to all students (letter below) on the issue, to get this message across not only to students, but to local residents and their representatives – and help ensure that students enjoy the St Patrick’s Day celebrations in a responsible manner." St Patrick’s Day is a traditional time of celebration. 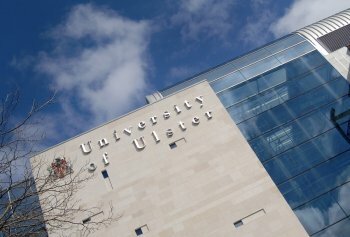 As a University of Ulster student, you should be aware that you are a representative of the University both on and off campus and carry with you the good name and reputation of the University. In the past, anti-social behaviour by some students has tarnished the good name of the University and its student body – and resulted in criminal convictions for some students as well as disciplinary penalties for others. Be assured that the University will act swiftly against any of our students identified as bringing the University into disrepute through their behaviour over the St Patrick’s Day period. Please be advised that Ulster students suspected of involvement in serious anti-social behaviour will be suspended immediately pending further investigation: a meeting of the University’s Disciplinary Committee will sit on or before 30 March to deal with such cases. Accordingly, we ask that you be respectful and considerate of local residents and the communities that you live in, in order to protect the reputation of your University and to foster good community relations. Irrespective of your campus or where you live, we trust you will enjoy St Patrick’s Day responsibly and bring credit on yourselves and your University. We urge all Ulster students to view it.